Our service range includes a wide range of cable product testing service, wire testing service, aluminum testing service, industrial material testing services, manometer pressure testing services and stainless steel testing services. 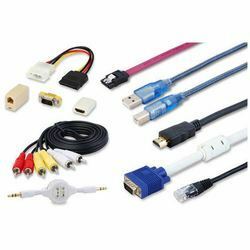 Moving on deep knowledge industrial experience, we are offering a highly reliable Cable Product Testing Service. Our provided testing service is executed in a prompt manner by our skilled professionals who holds year of experience in the concerned domain. Our engineers and technicians verify the quality of the cable products and render this testing service to meet industry and individual clients' requirements. The offered testing service is widely acknowledged among our clients for its high flexibility, on time completion and hassle free operation. Our repute in the market is largely attributable to our popular range of Wire Testing Service from our unique assortment of services. To maintain flexibility and timeliness, our skilled professionals render this testing service using the ultramodern techniques and pneumatic mechanism. We render this testing service to help enterprises to verify the cable’s insulation integrity before it is installed in the field. Apart from this, our rendered testing service is highly acclaimed by our clients for its high reliability and cost-effectiveness. We are the leading organization and successfully engaged in providing Aluminum Testing Service that assure testing results are accurate and within specifications. Our offered testing service includes thermal analysis, gas chromatography, electrochemical and salt spay corrosion testing, mechanical testing to assure its high surface and mechanical properties. 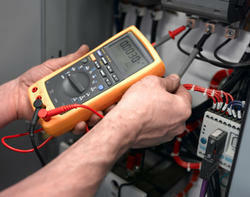 The provided testing service is rendered by our skilled professionals using the advanced technology and machines. We execute this testing service as per the client’s demands within promising time-frame at market leading prices. We offer our precious clients the premium quality Industrial Material Testing Services. Offered services are widely demanded by our clients owing to their high reliability and perfect execution. These services are carried out under the supervision of our experts using optimum grade testing equipment and high-end technology. Our professionals check all the steps related to these services and execute them in an excellent manner. Further, the provided service can be availed by our precious clients at budget-friendly prices. 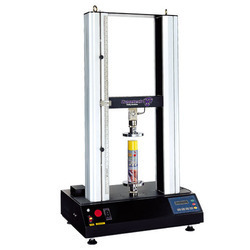 We offer Manometer Pressure Testing Services for an extensive range of pressures, from relatively low (a few psi) to very high (up to 200,000 psi). 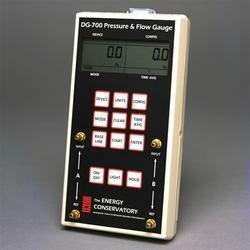 We offer both low-pressure testing services and high-pressure testing services. We can test up to 200,000 psi with liquid, up to 30,000 psi with nitrogen or helium, and up to 6,000 psi with air. 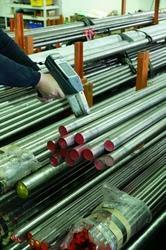 Stainless Steel Testing Services is a steel alloy with a percentage of chromium. 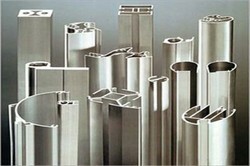 Stainless steel does not generally corrode as easily as ordinary steel but there are different grades which are required for different uses. Several industries such as the semiconductor and pharmaceutical ones have strict requirements for stainless steel surfaces. Chemical treatment can improve the relative amount of chromium at the surface and thereby the quality of the passive chromium oxide layer. Half Cell Potential Testing Services is the simplest way to assess the severity of steel corrosion is to measure the corrosion potential since it is qualitatively associated with the steel corrosion rate. One can measure the potential difference between a standard portable half-cell, normally a copper/ copper sulfate (Cu/CuSO4) standard reference electrode placed on the surface of the concrete with the steel reinforcement underneath. The reference electrode is connected to the positive end of the voltmeter and the steel reinforcement to the negative. This test can give the probability of corrosion activity taking place at the point where the measurement of potentials is taken from a half-cell, typically a copper-copper sulfate half cell. An electrical contact is established with the exposed steel the half-cell is moved across the surface of concrete for measuring the potentials. Because a single pole or tower failure can be catastrophic, it is essential for electric utilities, wireless telecommunication tower site owners, municipalities, commercial property owners and other individuals responsible for public safety to routinely retain the services of Tubular Steel Pole Testing Services. 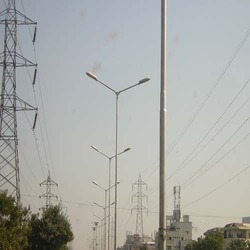 It provides structural integrity inspection and risk assessment services for aging infrastructure including T D towers, power poles, cell towers, monopoles and high-mast lighting towers, in addition to a wide range of similarly critical structures. 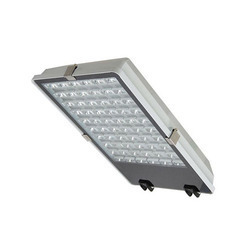 For safety, performance, and Street Light Testing Services, we have the expertise to quickly get your lighting products to market. We have built an international business model designed to get your products to market faster than the competition.